Lenenbot* mixes up John Lennon and Vladimir Lenin quotes. The first half of one with the second half of the other. It’s weird not to be able to run the country. There are more, surreal ones. There are about 600 different possibilities, all randomized. Subscribe to the Twitter account here. * I chose the name “Lenen” to avoid confusion. Lenonbot and Lenninbot look like misspellings of Lennon and Lenin, respectively. Lenen is it’s own bot. Last week, I began a 4-month residency at Recology San Francisco (a.k.a. The Dump) where I make art solely from the refuse that people drop off in their cars and trucks. I am treating this residency as a performance. I am playing the role of a prospector from the future who mines the garbage heaps of a past civilization to build technologies to survive. Trawling through construction debris, discarded electronics and the scraps of people’s lives, I am making blueprints and building imaginary devices such as a food synthesizer and an infinite battery. I derived inspiration by props from films such as E.T. and The Science of Sleep. These contraptions obviously don’t work, yet they activate a child-like imagination, where we can build whatever we want from materials at hand. In this consumer culture where the desire forÂ designed objects runs rampant, this project serves as critique and antidote. From the standpoint of new media artwork, I have been grappling with how to work with technology in artworks — I use technology precisely because our economy and values are so steeply driven by it. I have long ago moved away from interactive artwork for a number of reasons. I want to celebrate the imaginary. This project lets me play the role of artist-as-mystic instead of as-technologist. I am free to create narratives in which I simultaneously critique our ecological disaster course but also to suggest possible futures. And, more than anything, have fun. Without this, we have zero hope, which is something we need at this time. If you’re in San Francisco this Saturday night (March 6), you’re in for a performance-art treat: 100 Performances for the Hole (Take 2) at Somarts. 100 artists each do 2-minute performances inside a mechanics pit. I’m on at 8:54pm and will create a Cagean surprise. The first performance is at 5:58pm and the evening ends at 1am. This is a follow up to Justin Hoover’s event at The Garage of the same name. Here is where I presented a live-mediated performance called In the Hole, where crawled into the mechanics pit, placed a cover over myself and then called up Justin’s cell phone. He then handed this to a stranger (this part was pre-arranged) who came over and held my hand and guided me out of my self-created psychological space. 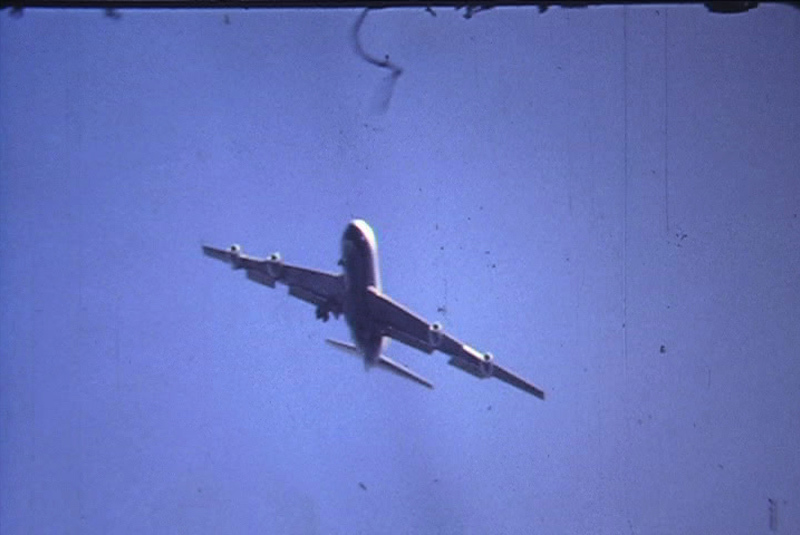 Last Tuesday, Second Front was invited by Joe DeLappe to enact a performance in Second Life around theÂ Gandhi Release Party and subsequent hootenanny. 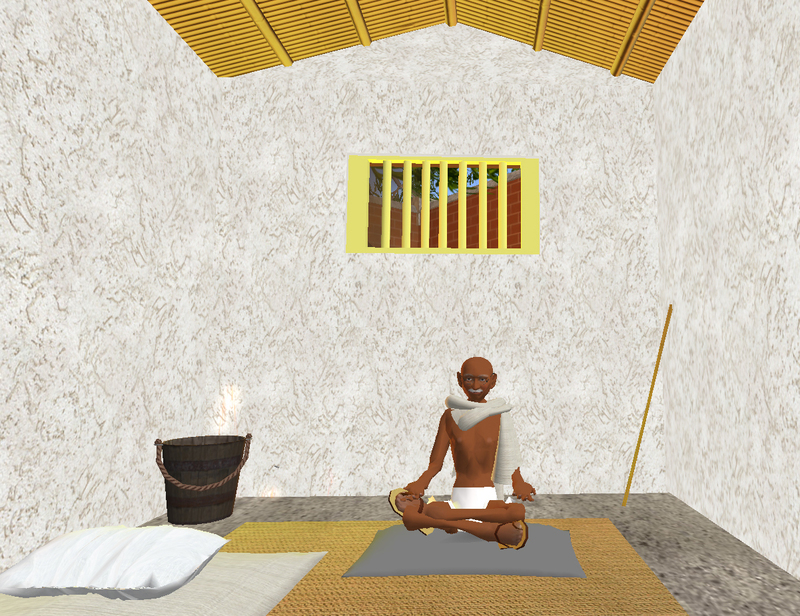 Gandhi has been imprisoned for a year, mirroring his historical imprisonment. Several of us congregated at the gates to the prison, from left to right is Bibbe Oh (aka Bibbe Hansen), Great Escape (aka Scott Kildall) and Liz Solo. The full Second Front ensemble was there including Tran Spire (aka Doug Jarvis), Gazira Babeli, Fau Ferdinand (aka Yael Gilks) and Man Michinaga (aka Patrick Lichty). We began the break-out with jackhammers and drills, but the jail ceilings were constructed out of a digital composite that resisted our tools. Ever resourceful, we upgraded to bulldozers and then to dynamite. KA-BOOM! The door popped open and out came Gandhi. Free at last, free at last! Our special surprise, for Gandhi was Cicciolina (played by Patrick Lichty) popping out of cake. Happy Release, Gandhi! I am flying to Bangalore (Bengaluru) tonight. Here, I will be presenting an academic paper at WikiWars Conference with my colleague and close friend, Nathaniel Stern. Looking at what we call “performative citations”, we will be focusing on the infamous Wikipiedia Art project and introducing a contemporary application of the performative utterance â€” as applied to Wikipedia. This will be the first of a two-part gathering to put together material for the Critical Point of View (CPOV) Reader. The second will be in Amsterdam in March. I’m excited.